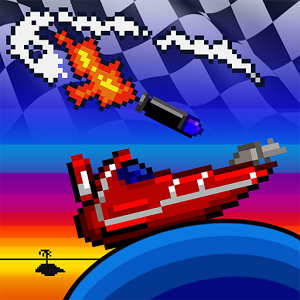 In Pixel Boat Rush, you drive a single two-dimensional boat across a 2D sea, racing with a dozen other boats as you speed, soar, and sometimes bounce from wave to wave. The water might not be realistic, and the three-button controls don't suggest "sim" in any way, but the over-the-top atmosphere makes for a fast and interesting play style. 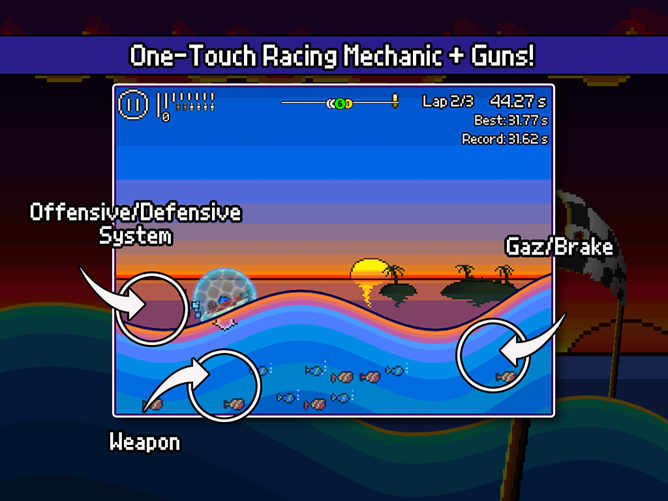 Those are two elements that Pixel Boat Rush shares with developer XperimentalZ's previous Android game, Don't Run With A Plasma Sword. 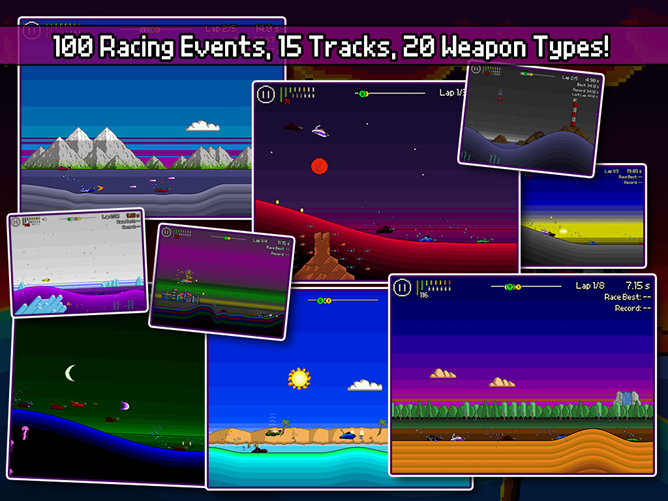 Multiple game types and a deep upgrade mechanic help to lend a worthy sense of progression. 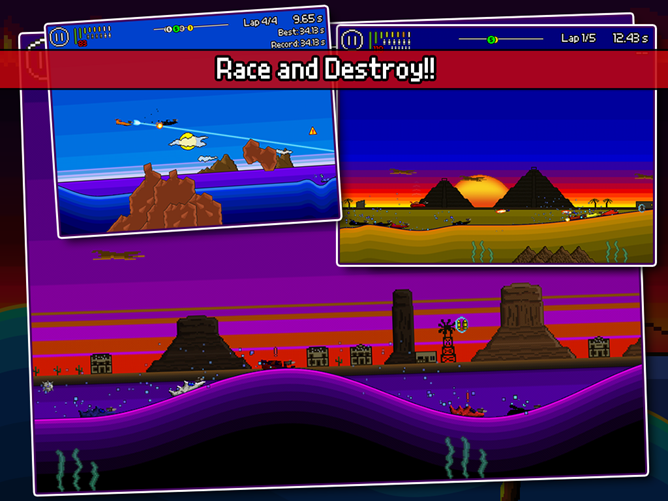 It's almost like Scorched Earth with real-time controls. There is a story of a sort, in so much as career modes in racers have them, but the game mostly uses it to personalize your pixelated opponents as pastiches of pop culture. 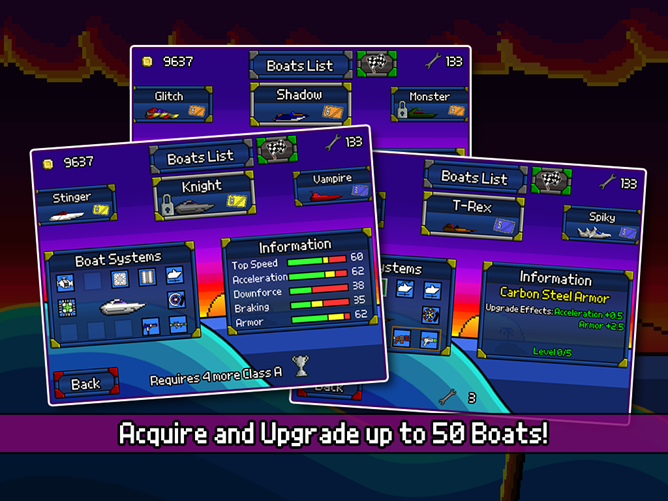 Pixel Boat Rush is a reasonable $2.49 with no ads or in-app purchases.